“We started from the very fundamentals—you know, how the pieces move, what they’re worth…now we’ve scaled up to what is called chess notation." Members of the UChicago Chess Club are making moves to help local kids learn the art of the game. 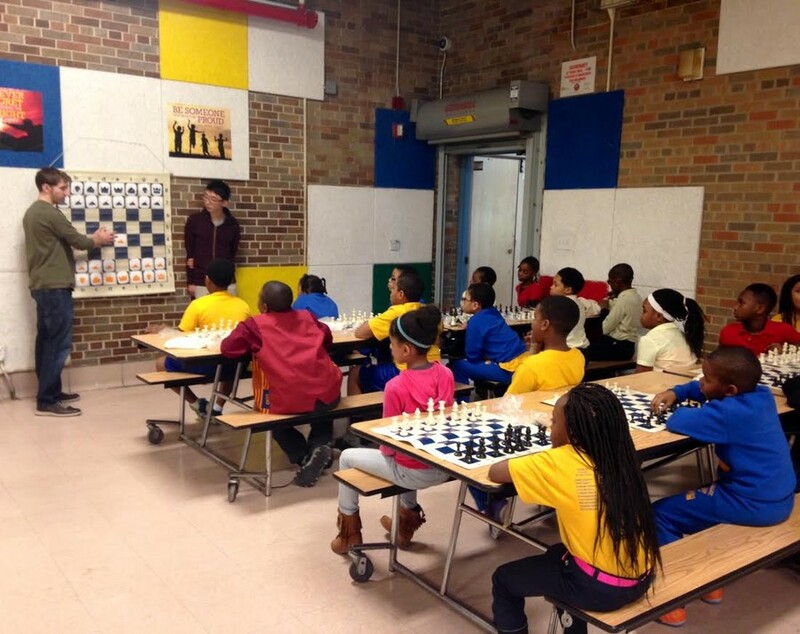 Since January, they have been spending their Friday afternoons at Andrew Carnegie Elementary School (ACES) at East 61st Street and South Dorchester Avenue, supplementing an already existing chess curriculum by training students for tournaments. Sharan Subramanian, first-year in the College and Chess Club member, has been the impetus behind this program. The University students who run the after-school program at ACES train younger students to play competitively. The goal of the program is to provide instruction beyond the standard chess curriculum initiated by organizations like First Move. Subramanian’s curriculum deals heavily with what are known as chess fundamentals. These are the ideas and concepts that students of the game need to understand before they can compete in tournaments. “We started from the very fundamentals—you know, how the pieces move, what they’re worth…now we’ve scaled up to what is called chess notation, because our goal is to prep these kids to go to their first tournament,” he said. This instruction is delivered to second-, third-, and fourth-graders in a way that combines lecture and interactive game play. This format encourages kids to appreciate the theory behind chess while learning how to play the game. This all started in the summer of 2014, when Subramanian founded Invest in Chess, a chess advocacy network geared toward popularizing the game among children and teenagers. When he came to college, Subramanian decided he wanted to help a local school and went to the Neighborhood Schools Program (NSP) to ask about what he could do. It was the NSP that directed him to ACES. The critical thinking skills that he has gained are a driving force behind his desire to impart knowledge of the game to others. He values the role that chess has played in his own education and wants to share its benefits with others. “I really enjoy imparting the thinking skills that I’ve gained since I picked up the game in middle school…that have really helped me in my life,” he said. The principal students involved in this project are first-years Subramanian, Darcy Linde, Joe Fennessey, and Yuta Kakutani, and fourth-year Ryan Murphy.